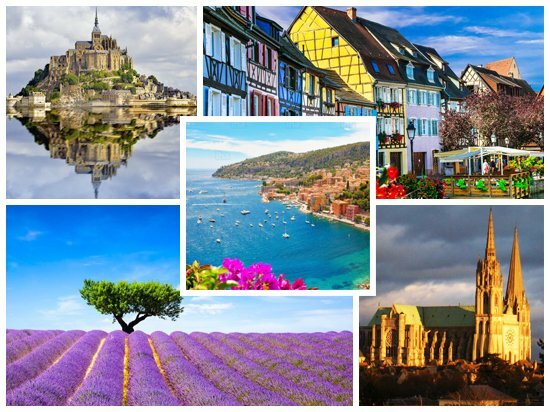 This article focuses on a few beautiful places in France that should be on the bucket list of every person visiting this beautiful country. France is a beautiful place and a person should first get a visa to France to experience what it has to offer in terms of fulfilling experiences. Cote d’Azur: This is one of the best place in France is named after the deep blue waters of the Mediterranean sea and is also known as the French Riviera. There are so many beautiful villas and the waters have so many yachts sailing on them at any time of the day. People who love going to beaches are found here and the sandy beaches coupled with the stunning locations make for a very exciting tourist experience. Mont Saint-Michel: This great structure rises from the coast of Normandy and is one of the best tourist place in France. There is also a well preserved abbey at this place which stands out as a prime example of medieval architecture. Nicknamed “Holy Jerusalem”, this place is of interest to any person who gives a lot of importance to religion. Chartres Cathedral: This is a UNESCO world heritage site and still stands tall and in good condition even after centuries have passed. Architectural work and brilliant craftsmanship dating back to the thirteenth century stand as brilliant examples of the medieval period and visiting this Cathedral is a fulfilling experience and makes people restore their faith in religion. Provence: This is the first thing that comes to mind when a person thinks of Provence. Olive groves, fields with purple lavender and the sun kissed hills in addition to the quaint villages that still retain their old world charm make for a very picturesque location. There are many historic sites, museums etc. and a person who visits this place takes home with him an interesting experience. Alsace villages: These are villages nestled in the hills of the Alsace. Small cottages that still retain the old world charm and churches and bushes of colourful flowers all make for a wonderful post card. This place should be visited merely to witness this aesthetic beauty. A person needs a visa to France to visit this beautiful place. The France visa service is also available online today. Any person who wants to obtain a France visa may make use of these web sites and agencies that are available by the dozen today.